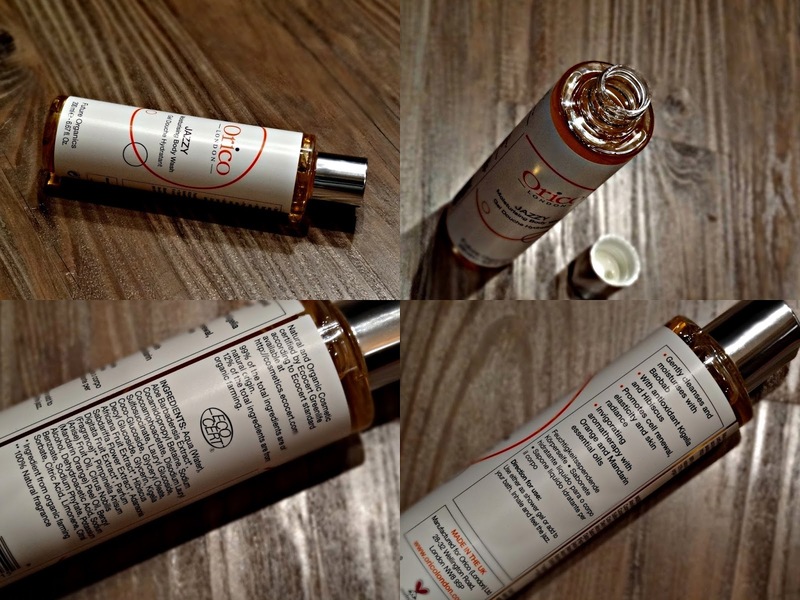 Orico Jazzy Moisturizing Body Wash ($19; oricolondon.com) - Its a natural, organically derived body wash made from Orange and Mandarin Essential Oils. The scent is zesty, it cleanses without stripping and leaves a subtle, citrus scent. Its also free of sulfates, parabens and artificial dyes. I've only tried one other body wash from Orico, which was great, and this one too is just as fabulous! The only downside is that they're hard to find in stores and can only be ordered online through their website. Osmotics Sugar Scrub Body Polish ($38; osmotics.com) - Its a perfect blend of slightly gritty sugar granules in a creamy oil base. Both are well blended, so there's no mixing the sugar and oil - just scoop a little and scrub away! I love the scent - its very light, citrusy and leaves my skin feeling luxuriously soft. There's just a slight hint of a creamy residue left behind, that my skin absorbs instantly. This is my first body product from Osmotics and I absolutely love it. Korres Bergamot Pear Shower Gel ($19; hsn.com) - Korres makes excellent shower gels in so many nice variants. I can't find this particular one, Bergamot Pear, anywhere else other than HSN, but apart from the scent, it perfoms pretty much the same way as other Korres shower gels. It does feature SLES as a cleansing agent, yet is non-drying. The scent is ah-mazing and lingers on for quite sometime after a shower. Perfect for the warmer months ahead and the scent stays on forever if followed up with the matching body butter. 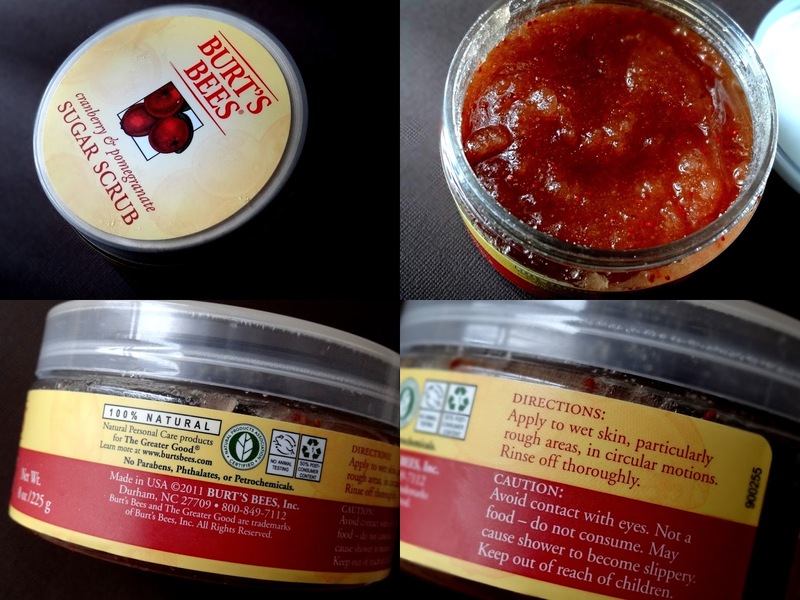 Burt's Bees Cranberry & Pomegranate Sugar Scrub ($13; burtsbees.com) - Burt's Bees makes really nice bath and body stuff, and at a great price point. I picked this one randomly - got sucked in by the Cranberry and Pomegranate description. I don't regret though, since its super exfoliating and moisturizing at the same time. The granules aren't too scratchy, yet manage to get rid of dry, flaky skin really well. The only downside though, is that it leaves my shower a bit slippery. That apart, its one very affordable, natural body scrub - great for the feet too! Definitely re-purchasing after I'm done with this tub. The only body cream I've been reaching out to a lot recently, is the L'Occitane Rose Heart Ultra Soft Body Cream ($24; usa.loccitane.com) - it smells like a rose bouquet, feels luxurious and keeps the roughest of spots nice and soft. I absolutely love how well it locks in moisture and keeps my skin from drying out for hours together! As of now this is a limited-edition product, so I'll stock up, but definitely wish L'Occitane makes these permanent soon enough! 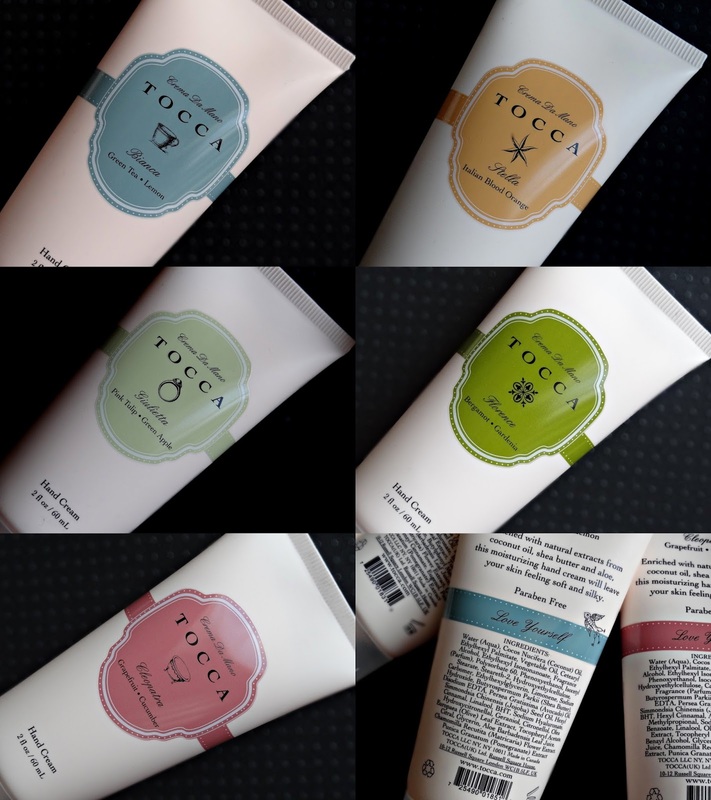 Tocca Crema da Mano Hand Creams ($10 each; sephora.com) - Tocca's amazingly scented, paraben-free hand creams now come in travel friendly sizes. I've tried the full sizes before and think they are excellent, especially for daytime use. The scents match with Tocca's EDP's and the texture is light, moisturizing, quick absorbing and leaves no icky finger prints behind. Great, non-greasy ones to carry around in your purse or to keep on your desk. Carol's Daughter Almond Cookie Hand Cream ($14; carolsdaughter.com) - Another one of those light textured creams with a almond-y baby powder scent. The scent is a little strong for me, but its not something I don't like. Its made from a healthy dose of coconut and soybean oils that moisturize, but without the heavy feel. Curel's Foot Therapy ($4.59; drugstore.com) promises softer feet in 2 uses. Its not in the most fanciest of packaging, but does the job really, really well. The texture is fast absorbing and keeps my feet soft well until the next morning. Its definitely one of the nicest I've tried from the drugstores - amazing for the price too! Soap & Glory Heel Genius ($18; sephora.com) - Heel Genius is packed with nourishing ingredients like Macadamia Oil and Sugar Cane extract in a creamy base, so its best suited for the night time. Its a cool blue colored foot cream with a light, fresh scent. The texture is fast absorbing, but it does leave a light film, so be sure to slip on a pair of socks. 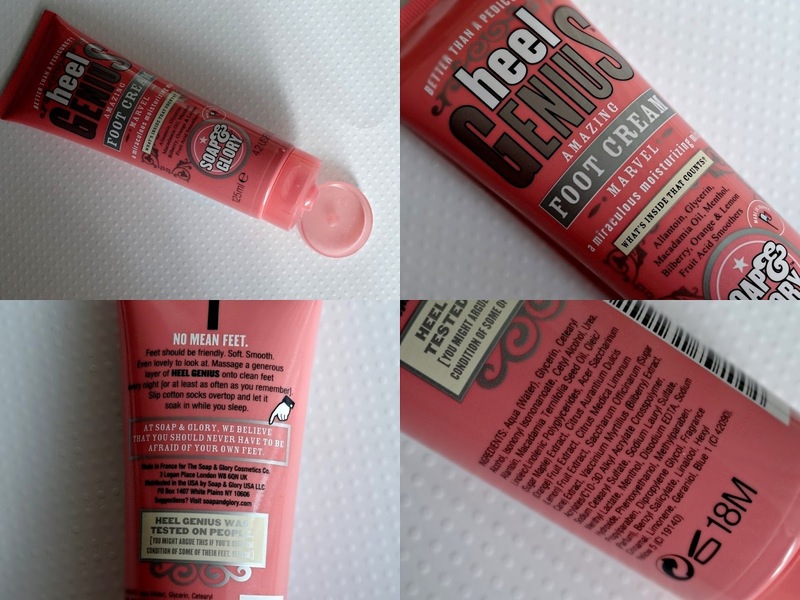 S & G claims that Heel Genius softens dry feet in one night - I have super dry skin, so it did take a few uses before my feet were soft, but it definitely works! It also leaves a cooling sensation that lasts quite a while - great for tired feet. L'Occitane Shea Butter Foot Cream ($12 - $28; usa.loccitane.com) - With a 15% Shea Butter content, this is one cream I can recommend even for the driest of skin. The scent is nice and soothing and the cream, although rich, still works for day and night. Its a tad expensive though, but like everything else from L'Occitane, it feels luxurious and gets the job done really well. L'Occitane also makes travel sizes of these, so that's a nice way to try it out before splurging on a full size. Definitely one to check out if you stop by a L'Occitane Boutique! Omg, I love how so many of those products sound like they smell sooo good! And orange and manadarin body wash? 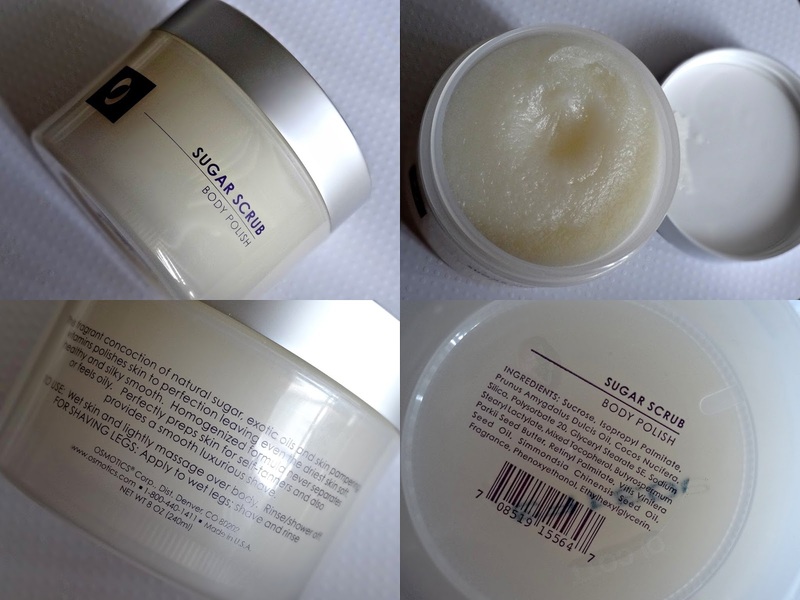 Sugar scrub and those hand creams look awesome! Great stuff! Thank You, Sharlynn! I love the Sugar Scrub..I'm using it up really fast! !